There are a few ways to add addresses to the cheat table address list. 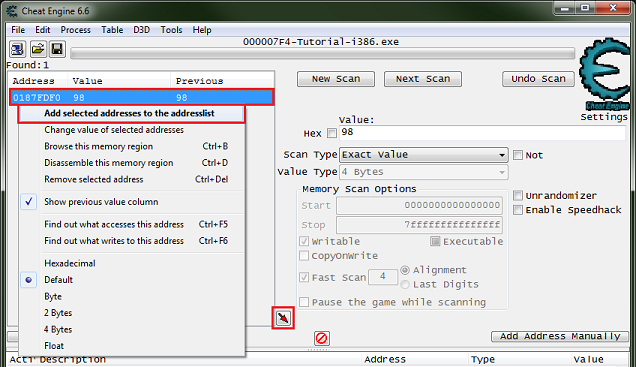 The way to add addresses from the found address list is to double click the address, with the address(es) selected click the red arrow, or with the address(es) selected right click the address and select add selected addresses to the address list. You can also add addresses manually by clicking the add address manually. You'll see a form like the one on the left, if you check the pointer check box then it will look like the one on the right. Just setup the address or pointer as needed and click the OK button. 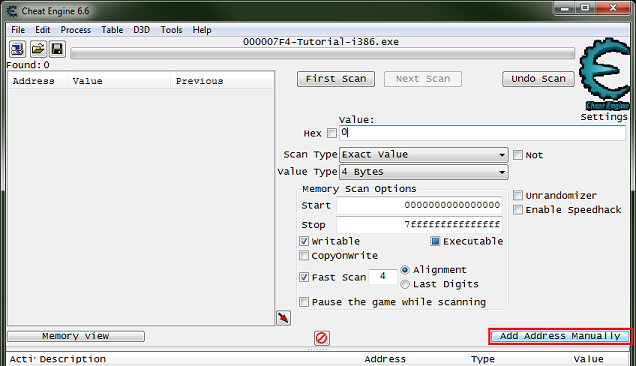 Use the add offset and remove offset buttons for multiple level pointers. 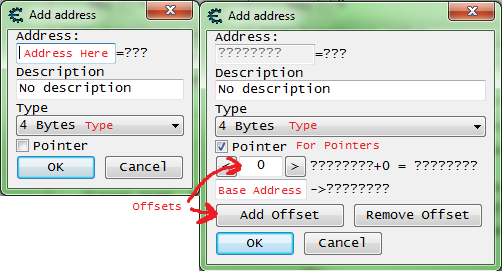 Set the address or base address, depending if it's an address or pointer.